Your passion for your work -both at home and at office - comes across strongly in your post, Soumya! It's true, people look down upon homemakers - I have been at the receiving end of many a subtle jibes, but now I have learnt to take it all in my stride. Of course, there are days when these jibes bog me down and I feel broken despite having done so much for my family, coz at the end of the day, I am not bringing home a salary. But then I just pick myself up, pat my back and tell myself that all those who say those nasty things wouldn't be able to do even 50 % of what I have done! That makes ne feel great! It's high time people gave women (of both the 'working' types) their dues and learnt to respect them, too! As long as you feel great, nothing matters! Congrats on the 8 years and good to see you are proud of home and work. It is the best thing indeed. Illness and disability is totally justified. But a healthy woman sitting at home and whiling away her time troubles me. Jokes aside, this post is like a chat with you. I know because we've done this a lot. I agree when you say that it's unfair to say that a working woman can't also be a homemaker. They can; it depends on them and of course the circumstances and support. Congratulations on completing eight years. You have my admiration and respect. :) Love how you are holding up, more power to you. Big congratulations Soumya. 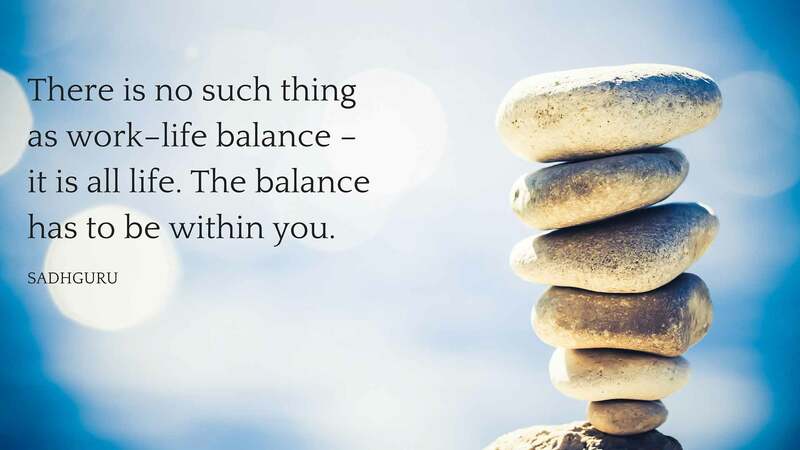 This is no easy task the way you make it out to be - this balancing work and home. So kudos to you for having straddled both boats with perfection. You know, i completed my 6 yrs work anniversary this month and i time n again hear these comments: oh, so u cook also?, oh u do grocery shopping too? come on, ur joking! blahblah..
Y is it so hard to believe that a working woman can b a great homemaker too?? I have been bogged down lately with people around saying that i care less abt my home and i seriously contemplated quitting my job! I know, its so foolish. Thank you for this post dear!! !I know im in the right path!!! Let them think what they want. You be the awesome person that you are. More power to you! I feel once people stop judging others based on their life choices, all these taunts and stereotypes regarding 'working women' and 'homemaker' would stop too. After all they both are working towards making a life of their own. Atleast in recent times people have started respecting stay-at-home moms. The first and foremost respect should always come from the family. Congratulations on your work anniversary. People and stop judging? You think that will ever happen? Congrats on the work anniversary! We can see your passion for your work as well as your home through your posts, and it is a delight to read, Soumya. I am sure your drive inspires many. I personally got my work visa for USA some months back, and have now landed a job, which starts next week. I am nervous as well as excited to get back into the workforce after a break. But deep down I know this is exactly what I want to do, and that makes everything better. I love how women try to do things from home. Especially talented friends of mine. One runs a successful bakery with out-of-this-world theme cakes, another is a freelance writer and many more. For me, I am with my current employer for the past seven years, running a home, cooking my meals and being the best friend of my son. I love such women too. Aren't they so inspirational? I love the Title of the post. And I agree with you on every count, I was nodding all the while reading this. Congrats on 8 years, and go on forever. Congrets for completing 8 years of your working..!! I really like the Content of this post is very unique.. I am sure your drive inspires many people. Thank you so much for this post. I really like this post. APK Download. Hello there! This article couldn’t be written much better! Going through this article reminds me of my previous roommate! He continually kept preaching about this. I'll send this information to him. Pretty sure he's going to have a very good read. Many thanks for sharing! It is obvious I needs to maintain balance in all the things to live a happy life. Thank for you sharing such a wonderful post. Though insulin affects excess fat storage, this hormone could be put into great use. Insulin just leads to fat gain if there is a high intake of carbohydrates. Cla Safflower Oil Right amounts of insulin and carbohydrates can be fat burning without damaging the muscle tissues. Low amount of carbohydrates only result in lower muscle and fat burning capacity injury. Hormone Revolution WEIGHTLOSS PROGRAM will not involve controlled eating habits. During the first 14 days, individuals are directed to keep their Cla Safflower Oil usual diet plan. Patients undergo basic exercises for weight training exercise instead.